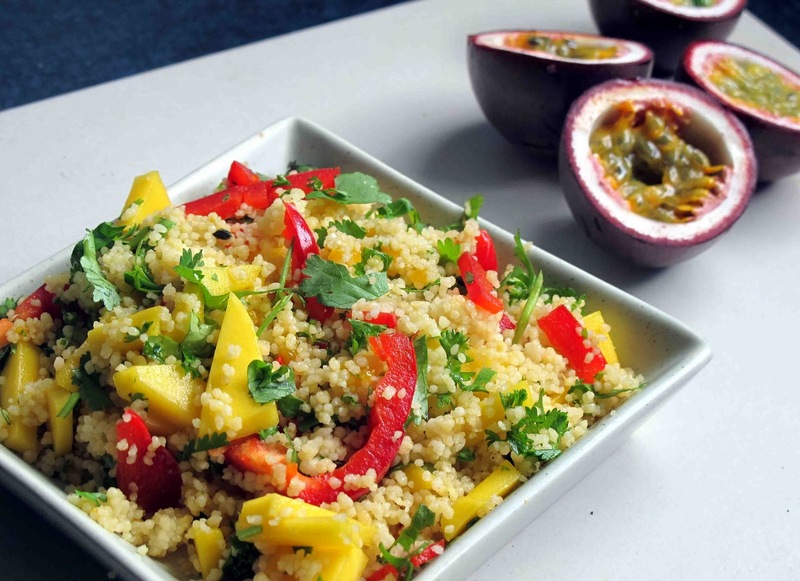 As a change from dribbling some passion fruit over our kiwi favourite pavlova I dressed a couscous salad with their juices to give an intriguing sweet fruity flavour which is not overpowering. Cover and leave to absorb the liquid for 3 minutes. Sieve this to remove the pips. Stir the passion fruit juice though the couscous. You could sprinkle this couscous with toasted pinenuts which would some crunch and more flavour but as they are quite expensive I'm happy to serve it without.